It was very hard to swot in such lovely weather. Alicia longed for a game of tennis. Darrell longed for the swimming pool. Clarissa longed to go and laze in the flowery courtyard and watch the goldfish jumping. Belinda wanted to go out sketching. Irene became plagued with an enchanting tune that begged to be put down on paper - but poor Irene had to turn her back firmly on the lilting melody, and do pages and pages of French translation. The idea for the research which became the Virtual Worlds of Girls hypertext cluster arose when I discovered a box of Angela Brazil's (1869-1947) girls' school stories, being sold for a few pence each, in an antique shop in Lynton, North Devon in January 1984. I was spending a few days with my partner's family and had already run out of books to read; like many of the women who collect girls' school stories , I am an avid reader and will resort to the back of the cornflakes packet if nothing else is available. It is true to say that, coming from a lower-middle-class background , I would not automatically have thought of these books as worth buying from any other perspective, although, in common with other British schoolgirls, I had devoured school stories as a child. However, a schoolfriend's father - a local headmaster - had amassed a fine collection of British boys' school stories in the 1970s, and this gave me the idea of starting a similar collection. Six months prior to my rediscovery of Angela Brazil's girls' school stories in 1984, I had graduated from the University of East Anglia after reading English Studies and Film Studies. Since then I had founded and edited a community zine for young people in Norwich, and was shortly to take up an appointment in London, founding and editing a community newspaper funded by the Greater London Council . Financially I was in no position to continue with my education, but I decided that I would begin to collect other books in the genre with a view to carrying out research in the future. Over the next four years I built up my collection, scouring secondhand book shops, charity shops, flea markets, car boot sales and jumble sales for examples of the genre. Most of this (re)search was carried out on holidays and at weekends, and my partner became used to stopping the car in every town or village that appeared to offer possibilities, euphemistically described by me as places where "you could probably get a nice cup of tea". It was only when I discovered the girls' school story fan networks in 1993 that I realised this was a shared experience; I also found that the dream of going into a bookshop and discovering all of the books which I sought were on sale for a few pence each was a common one! After four years of collecting, in 1988 I resigned from my editing job at the housing charity Shelter to become a freelance journalist and began to explore the possibilities for beginning my research formally, if part-time. Few institutions showed much interest in my subject, but eventually I found a home in the School for Independent Study at the North East London Polytechnic (now the University of East London). This innovative department, sadly now defunct, allowed students to design their own courses, producing a formal proposal for a programme of study at the end of their first term. Once this proposal had been approved by the Council for National Academic Awards , students spent a minimum of the equivalent of a year's full-time study before producing written or other work for assessment. When I entered the school I wanted to research into the genre as a whole, as had always been my original intention. However, I was told that the subject was too vast for a Master's degree, so I restricted my proposal to books by one author, Elinor M. Brent-Dyer (1894-1969). Written between 1925 and 1969, Brent-Dyer's 59 Chalet School books form the most successful children's series ever published in the United Kingdom. In the late 1970s the publishing house Armada (owned by HarperCollins by the 1990s) had begun a programme of republishing the entire series in paperback, and from 1984 I had collected the books as they were published. The series seemed ideally suited to be a research subject, since its appeal had spanned more than half a century - in the 1980s the series still commonly sold more than 100,000 copies a year in the UK. I knew that many of the paperback editions had been abridged and updated (although I did not realise the extent to which this had been done until I met collectors who owned first editions). However, I was most interested in the elements of the stories which ensured their continuing popularity, and it seemed reasonable to assume that these were still contained within the paperbacks. In any case, I did not originally intend to complete my Master's degree. Instead, with the support of my supervisor, Maggie Humm , after a year or so I intended to upgrade my registration to a PhD, and so widen the research to cover the genre as a whole. In the event, though, I became much more severely disabled in May 1990 . At this time I was working as a television documentary researcher , but it soon became obvious that I was not fit enough to continue. My future was unpredictable (it took until 1993 to obtain a correct diagnosis), and I decided that my most productive option in the short term was to complete my Master's degree. Between my health and the continuing need to earn money, this work took until March 1992. My thesis, A World of Girls - Schoolgirl Fiction: Genre, Femininity and the Chalet School (part-republished here as 6. The World of the Chalet School , examined the extent to which the series represents contemporary constructs of femininity and the extent to which it subverts them. In March 1992 I received the degree of Master of Arts by Independent Study in the field of Cultural Studies, and I decided to continue my studies full time. 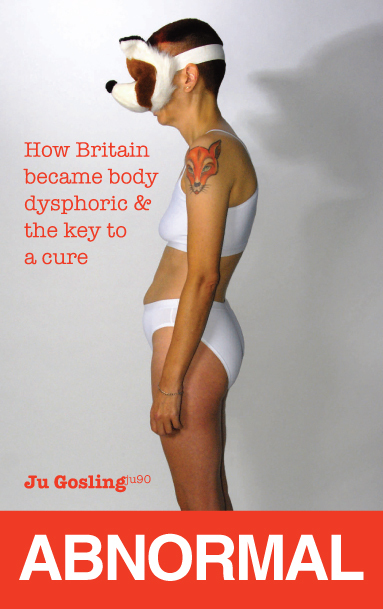 By this time it was apparent that there was now a great deal more academic interest in school stories than there had been in 1988, perhaps as a result of the publication of Rosemary Auchmuty's "You're a Dyke, Angela! Elsie J. Oxenham and the rise and fall of the schoolgirl story" in 1989 (in Lesbian History Group, Not a Passing Phase: Reclaiming Lesbians in History 1840-1985, The Women's Press, pp119-140). This meant that I had a much wider choice of where to study, and in October 1992 I took up a place in the Department of Communication and Image Studies at the University of Kent at Canterbury (UKC), to research into the reasons for the continuing popularity of the genre as a whole. Since it is not possible to write for a gender-free reader, and since the subject of my research was girls' books and the images associated with it are predominantly of girls and women, I took it that the primary reader of my research findings would be female. As a feminist, I decided to take feminists' and women's interests as being the same, and thus feminist research methods and the beliefs which characterise feminist research were important in developing my methodology. Shulamit Reinharz identifies ten themes which characterise feminist research methodology , all of which are in some way applicable to Virtual Worlds of Girls. 2) Feminists use a multiplicity of research methods. 5) Feminist research may be transdisciplinary. the major developments in feminist ideas concerning the "feminist research process" [during the second half of the 1980s] can be summarised as: the present availability of a conceptual language of wide currency that centres discussions of epistemology; the location and use of this in a much wider group of disciplines; the naming of a "feminist standpoint" epistemology; and the important synthesising work of feminist philosophy. There is also the existence of a now voluminous literature on "feminist standpoint" and other ideas concerning the relationship between method, methodology and epistemology in feminist research processes. The multimethod approach increases the likelihood that [feminist] researchers will understand what they are studying, and that they will be able to persuade others of the veracity of their findings . . .
Feminists embarking on important research projects are like people setting out on important journeys. As the journey continues, they draw on different methods or tools . . .
Feminism supplies the perspective and the disciplines supply the method. The feminist researcher exists at their intersection . . .
there is no single "feminist way" to do research . . .
Feminist research is amoeba-like; it goes everywhere, in every direction. It reaches into all the disciplines and uses all the methods, sometimes singly and sometimes in combinations. Multimethod feminist research tends to be written in such a way that reveals "the process of discovery." Initial discoveries energize the scholar to continue on her quest." an affinity between feminist research and cross-disciplinary work. Feminist research thus not only stretches methodological norms, it also reaches across disciplinary boundaries. As a post-modern phenomenon, it blurs genres by blurring disciplines . . . it draws on ideas in different disciplines . . . rather than the other way round . . .
Feminists seem particularly drawn to work on the borders of, and outside, their fields. As "connected knowers," we live in two worlds and find ways of bridging or blending disciplines. One reason for locating my research in Communication and Image Studies, therefore, was the fact that it is a multi-disciplinary subject itself. My previous degrees had also been in cross-disciplinary fields, so it was equally appropriate to my own academic development. Cultural artifacts . . . possess a naturalistic, "found" quality because they are not created for the purpose of study . . . Cultural artifacts are not affected by the process of studying them as people typically are. Instead, scholars can examine a written record or some other "text" without interacting with the people who produced it. I no longer feel that ethnographies of reading should replace textual interpretation completely because of their greater adequacy to the task of revealing an objective cultural reality. Rather, I think they should become an essential and necessary component of a multiply-focused approach that attempts to do justice to the ways historical subjects understand and partially control their own behaviour while recognizing at the same time that such behavior and self-understanding are limited if not in crucial ways complexly determined by the social formation within which those subjects find themselves. Combining text-based research and reader research was therefore the most appropriate approach for me to take. It would first allow me to form my own opinions about the reasons for the genre's popularity from textual analysis, historical evidence and applied critical theory, then to test these beliefs against the stated experiences of the genre's readers. However, although I kept to this research plan in terms of the text-based research, by the beginning of 1993 it was clear that the focus of my final thesis should be the relationship between the genre and the outside world: fans; critics; and parodists. I had already identified key reasons for the popularity of the genre within my MA research, as had Auchmuty, who had also identified the underlying reason for the cultural hostility towards the genre. Biographical studies of the major authors were already in existence; a number of literary studies of individual authors had been produced since 1988 or were now in progress; and my own field in any case was Communication and Image Studies rather than English Literature or History. Meanwhile no specific research had been carried out into the critical attitudes towards and parodies of the genre, nor into how and why girls and women continued to read the books regardless of almost universal condemnation and ridicule. It was also important to acknowledge, examine and answer past criticisms of the genre, rather than simply to offer an alternative viewpoint and to ask the reader to accept it. This change of focus, of course, also altered the emphasis of my methodology. At the time when I produced my initial research proposal , I had not come into contact with any other collectors of girls' school stories, although I knew from contact with secondhand book dealers during my MA research that there were at least a hundred women collecting the books within the UK. My plan had therefore been to contact collectors through these book dealers, and to contact girls reading the books today through two secondary schools (one comprehensive, one girls' public boarding school). I had then planned to carry out a sociological oral research project, basing the methodology on the work of Radway, who conducted research in the mid-1980s among adult women reading romance genre fiction in the USA , and of Gill Frith, who conducted research in the early 1980s among young girls in British comprehensive schools reading Enid Blyton's girls' school stories . Feminist researchers find interviewing appealing . . . For one thing, interviewing offers researchers access to people's ideas, thoughts and memories in their own words rather than in the words of the researcher. This asset is particularly important for the study of women because in this way learning from women is an antidote to centuries of ignoring women's ideas altogether or having men speak for women.
. . . The versatility of feminist interviewing is evident in the vast array of topics studied . . . The particulars of interviewing vary widely as well . . .
Other practical details also vary widely.
. . . This variety reflects the fact that feminist research methods are both rooted in the mainstream disciplines and represent a protest against them . . . Eschewing standardization in format allows the research question, not the method, to drive the project forward. It has also encouraged creativity. But by 1993 my research had brought me into contact with a number of women who collected girls' school stories and ran associated fan clubs and fanzines , and I had become aware that there were hundreds of girls and women (but predominantly women) in the UK and elsewhere who were already organising, meeting and networking around their book collecting, and writing about it in their own publications. I was also aware that a committee had been formed to organise a number of celebrations in the UK in 1994 to commemorate the birth centenary of Elinor M. Brent-Dyer (1894-1969) , the author of the Chalet School series. So now I realised that part of my planned approach was redundant. Rather than asking readers to complete questionnaires, it would be more valid and in keeping with feminist research methodology to analyse the writing which the fans were producing themselves. (In doing this I also considered the context in which it was produced, since Reinharz warns that we should ask: "who is speaking when women speak for themselves? . . . we have been naive in not analysing the conditions under which voices are speaking . . . their very production may be a form of oppression." ) And rather than contacting readers through book dealers and schools and then conducting group interviews, it would be far more valid and in keeping with feminist research methodology to contact fans through their own networks and to observe and record the activities which they were organising for themselves. Methodological literature concerning fieldwork suggests that there is a dichotomoty or continuum of "complete observer" to "complete participant" roles. The two variables in this continuum are the extent to which those observed know they are being studied, and how much the researcher participates in the ongoing activities . . .
Feminist ethnographers who emphasize closeness rather than distance in fieldwork relations believe that understanding based on participant observation is enhanced by total immersion in the world one is studying. Total immersion comes about when the researcher begins to share the fate of those she is studying.
. . . to the extent that a goal of feminist scholarship is to reinterpret or redefine phenomena previously defined from a masculinist perspective, the only way to have access to a new definition is to truly understand the women by way of rapport . . .
By achieving rapport, the feminist researcher reassures herself that she is treating the interviewee in a nonexploitative manner. Rapport thus validates the scholar as a feminist, as a researcher, and as a human being. It symbolizes her sisterhood, her interviewing skill and her ethical standing. I joined the Friends of the Chalet School, which developed over the period of my research from a newsletter of the same name into what was effectively a society; and subscribed to The Chaletian (also for fans of Elinor M. Brent-Dyer's Chalet School series); Folly (Friends of Light Literature for the Young, which covers girls' school stories and other genres); The Abbey Chronicle (for fans of Elsie J. Oxenham); and Serendipity (for fans of Dorita Fairlie Bruce). In 1995 I also joined the newly founded New Chalet Club, publishers of The New Chalet Club Journal. As well as attending the Elinor M. Brent-Dyer centenary celebrations and reading the newsletters, I attended a number of other fan gatherings, principally those held in London as these were most accessible to me. At the beginning of 1994, Chalet fans in London and the South East began meeting regularly for informal social gatherings, as did fans elsewhere, with dates and venues being advertised in the newsletters or fanzines. Meetings generally took place in the afternoon or evening, and included a meal and something to drink. Numbers varied from three or four fans to thirty or more depending on the geographical location, meaning that in cities such as London and Edinburgh, meetings took place in pub rooms and wine bars, while in other areas fans met at each other's houses. Fans would bring books to show and/or to sell, and would usually hold a quiz about the life and/or work of Elinor M. Brent-Dyer. 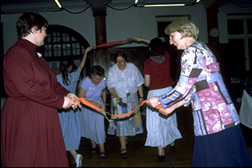 Fans of the other authors met similarly, if less frequently, and "Abbey" fans began holding regular folk dance evenings. Fans also met in groups to visit venues mentioned in the genre, either on day trips or longer stays, and I took part in these where I was able. In addition, fans began socialising together outside of the networks, for example by eating out together regularly, and I was often invited to attend some of these gatherings too. As well as the revision of my research plans, coming into contact with the organised collecting networks affected the focus of my research into reading experiences. For one thing, I would be able to spend a great deal more time with the collectors/readers than I envisaged when I produced my original research proposal (I eventually spent more than two years in close contact with them), and I believed that they were worthy of recording and studying closely in themselves. Although there are over a hundred similar networks or "literary societies" in the UK , none have previously been the subject of an academic study, and as they are largely a late twentieth century phenomenon, they may not survive into the twenty-first century. In order to keep the research within manageable levels and to give it a central focus, though, I decided to restrict my findings and conclusions to the members of the networks. I would discuss the extent to which my findings were likely to be true of all readers, and the sample size would be large enough (through the collecting networks I had contact with more than 1,000 women) to make this a valid approach. At the same time, I could expand my original plans to record the oral research on video tape. As well as keeping to my proposal to record interviews, I could also record the events organised to celebrate Elinor M. Brent-Dyer's birth centenary. While I would control the situation during the interviews, the readers themselves would be in control when I was recording the centenary events. Later I was able to arrange to record the bulk of the interviews during these events. This allowed the interviewees to feel more comfortable and relaxed than if they had been interviewed at a venue which I had chosen or if they had had to allow a stranger into their home, and also meant that they were very focused on the Chalet School series when the interviews took place. In order to keep the research within manageable levels, I abandoned my tentative plans to use video to "explore further the images of femininity represented in the books and parodic images of the genre in other media" and decided to restrict the video work to readers of the Chalet School series. Since my MA thesis had been based on the Chalet School, I already had a detailed knowledge of the books which should assist during the filming process. The centenary would also provide the video material with a focus and allow me to present it as a one-hour documentary, while the use of video itself would make the research accessible to those for whom the written material would not be. Most feminist oral historians share the goal of allowing/encouraging/enabling women to speak for themselves, although there is some disagreement about how much the interviewer should be 'present' in the resulting [text]. In a very blatant way, it brings the audience in for direct observation of the material the researcher wants to present . . . When the interviewees "speak for themselves" or "use their own voice", the reader is better able to understand. The photograph . . . is a version, it is one version, one part of the interactional reality which was the origin of the photograph. What is missing? First, there would have been other people in the setting. At a minimum there must have been the photographer . . .
Second, as well as not seeing the process of taking the photograph itself, one product, we don't see the process [of preparing to have the photograph taken]. Usually the printed version of an oral history is an edited version of the interviewee's speech excluding signs of interaction with the interviewer.
. . . Feminist oral histories concerned with clarifying the different voices find ways of highlighting the dialogue and sharing that occurred. In my view, feminist oral historians need not silence themselves to let other women be heard. The refusal to analyze transcripts does not produce a kind of purity in which women speak for themselves in an unmediated way. After all, the oral historian already had a role in producing the oral history and preparing it for publication. Since any involvement at all by the oral historian is a de facto interpretation, feminist researchers should be interested in providing an analysis so that the reader has a sense of the perspective used. The video project eventually resulted in the film The Chalet School Revisited . After ongoing contact with the organised collecting networks, two more aspects became apparent which were also worthy of studying. First, many readers created craft and artwork inspired by the books: I therefore decided to contact as many of these women as possible in order to ask them about their work and to photograph or to obtain photographs of it. Second, it became obvious that the presentation of the text - including typography, dust wrappers and illustrations - and its physical embodiment in the printed book played a part in collecting. Unfortunately, I was unable to gain access easily to many examples of the original books, which were often the only editions to contain illustrations. This was because it was difficult to obtain these from anyone but the professional dealers (I have discussed my difficulties in using libraries elsewhere ), and I could not afford their prices. It was also clear that the scope of my original research was already so wide that I could not afford to carry out a detailed study of the illustrations; I could only note the phenomenon and explore it a little. To do this I was able to borrow a large number of dustwrappers from Gill Bilski, a dealer, Clarissa Cridland, co-organiser of Friends of the Chalet School, and Helen McClelland, Brent-Dyer's biographer, and I included these within the film The Chalet School Revisited. I was also able to obtain line drawings from books owned by Sue Sims, co-editor of Folly, to illustrate the hyperthesis. One aspect of the collecting networks which did initially cause me difficulty was the fact that the overwhelming majority of members were over the age of eighteen. Unsuprisingly, given that up to 100,000 Chalet School paperbacks were regularly sold each year during the 1980s and early 1990s, there were younger members of the Chalet School networks. However, the events and fanzines were aimed at the adult members, and nothing was organised separately for girls reading the books today. The solution to this difficulty arose after I filmed six of the younger fans, on 24 October 1994 (see Making The Chalet School Revisited, 4. Production for details ). At the end of the filming, the girls requested that I continued to hold regular meetings for them during the school holidays. Rather than continue simply to use the girls as subjects of my research, I was therefore able to offer them my help in facilitating group contact which they themselves desired; I felt that this was much more in keeping with feminist research methodology. Accordingly, I set up the Chalet School girls' group, open to any member of the fan networks who was under the age of eighteen and able to attend a meeting in central London. I was provided with a list of junior members living in London and the South East by Friends of the Chalet School which I used as a mailing list; I continued to invite girls even if they failed to respond. As all of the girls were under the age of eighteen, the invitations included a form for parents or guardians to sign and return, giving permission for the girls to attend and taking responsibility for providing them with transport to and from the venue and a packed lunch. I also ensured that I was joined by at least one other adult during the meetings, so that the girls were never left unaccompanied even in the event of an emergency. Anne Thompson, a retired teacher who had played this role during the filming, was my most regular helper and proved popular with the girls. The group soon established itself with a core of ten girls, aged between ten and eighteen years, and continued to meet in the Wheel's theatre in central London each school holiday. Meetings took place between 11am and 4pm on Monday 20 February 1995, Monday 24 April 1995, Sunday 9 July 1995 (this took place in a studio at the Drill Hall in Chenies Street, as the Wheel was not open at the weekends), Monday 23 October 1995 and Monday 19 February 1996. When I first invited girls to take part in the filming, I had suggested that activities might include "a Chalet School quiz, progressive games [these are popular in the series] and acting" (archived correspondence, 26 September 1994). These suggestions had been supported on feedback forms which were included with permission slips, and continued to form the main part of each day. Typically, girls arrived and, after being introduced as necessary, had a sticker placed on their backs with the name of a Chalet School character written on it. They then had to find out "Who am I?" from the other girls, who could only answer "yes" or "no" to questions such as "Am I in the Austrian books?" and "Was I a prefect?". This game was highly successful in overcoming the girls' initial shyness - all of the girls were intimidated when they arrived, and unsurprisingly this continued as time went on because of the infrequency of the meetings and the wide geographical area which the girls came from. The girls were also self-selected keen readers, who therefore spent less time in social situations than other girls. Following "Who am I? ", we sat in a circle and Anne and I led a discussion with the girls, talking, for example, about how their real-life experiences reflected and differed from those portrayed in the Chalet School series. Afterwards we played acting games, primarily Chalet School charades. This allowed the girls to behave more physically and to express any feelings which might have arisen out of the discussion; it also allowed them to copy the Chalet School girls whose plays are detailed in almost every book. Initially I also considered using drama more formally, but this would have put pressure on the girls to perform rather than them enjoying the acting for its own sake. As the meetings progressed, though, the girls also produced adaptations of scenes from the books in which they directed themselves. At lunchtime we formed a circle again and talked while we ate, before continuing with a game such as Kim's Game or a Chalet School quiz. Initially these quizzes were taken from those devised for the main fan meetings, but later the girls devised their own. In the afternoon, the girls continued to act or to take part in activities adapted from the series, for example by making paper hats out of newspapers in a variation on the Chalet School's "sheets and pillowcases parties", before closing with games such as Chinese Whispers. At the girls' request, I did not continue to record their activities during the meetings, although they were happy for me to make notes afterwards. However, I encouraged the girls to produce their own writing about the series and the reasons for their fandom which I could analyse instead; this in any case seemed to me to be more in keeping with feminist research methodology. On 2 August 1995 I wrote to all of the girls who had attended at least one meeting and invited them to write me an essay during the summer holiday on "The Chalet School and I", making it clear that this would be used in my PhD research. The names of everyone who responded would be drawn for prizes which all entrants would receive; this gave the girls an incentive but also ensured that they were rewarded for their co-operation. First prize was my first edition of The Head Girl of the Chalet School (1928), other prizes included beadwork Chalet School bookmarks and badges. I asked the girls to try to answer the following questions within their essays, which were topics which we had already discussed during the meetings. When did you start reading the books? Which was the first book you read? How many books do you have now? Are they paperbacks or hardbacks? Where do you get them from? How often do you read the books? What do you think are the weaknesses in the books? How does the Chalet School compare to your own school? How do the characters compare to you and the girls you know? Do you have other friends who read the books? What do your family and friends think about you collecting the books? When and why did you join Friends of the Chalet School? What made you come to the meetings, and what do you think about them? Do you read modern school stories and/or watch television programmes with a school setting? How do they compare to the Chalet School books? How do you like them in comparison? Will you carry on collecting the books, or do you think you will stop when you get older? These essays are discussed further in 9: III. The Fans of Girls' School Stories, 1990s Girl Fans . At Anne Thompson's suggestion, we also encouraged the girls to produce their own magazine, as the fictional girls and the adult women fans had already done. 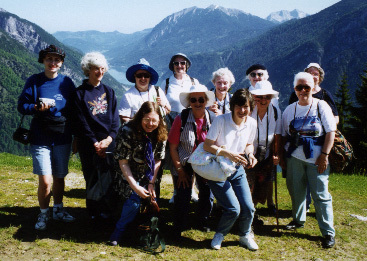 Accordingly, the main purpose of the fourth meeting, on 9 July 1995, was "to finalise the first issue of our newsletter, The Chalet School Today" (archived correspondence, 10 June 1995). In the event, this was published in autumn 1995 in Issue 1 of The New Chalet Club Journal, as a pull-out section printed on different coloured paper to the main body of text. Unlike the earlier organisations, the recently founded Club had decided to include younger members wherever possible within its activities, and had set aside a place for a Junior Co-ordinator on its Committee, electing Moira Lovegrove, the oldest girl in our group, to the position. The first issue of The Chalet School Today set the pattern for others. A typical issue included most of the following: a report of the last meeting; a short story; a quiz; jokes; pen friend requests; and comments and queries about the books. Initially all of the material was produced by the group which I was co-ordinating, but soon other girls began to contribute and a number of new groups were set up in different areas, for example in Scotland and the West Midlands. As a result of the first issue, though, Journal editor Joy Wotton and production editor Marie Hryzncak, both publishing professionals, attended our meeting on Monday 23 October 1995 and introduced the girls to basic editing and layout skills. This proved to be so popular that it was repeated at the next meeting, on Monday 19 February 1996. 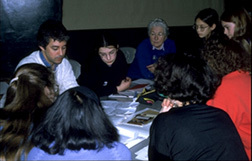 This latter meeting was also attended by Piers Sandford, current illustrator of the series, who was interviewed by the girls for the Summer 1996 issue of the Journal (pictured) before they posed for photographs from which Sandford would take future cover illustrations. All of these activities empowered the girls, as they had now become writers and editors as well as readers, and I felt that this was also in keeping with feminist research methodology. From the beginning, the girls had asked if I could also organise a residential meeting, where they could recreate some of the atmosphere of the Chalet School stories. This proved to be more difficult than I had anticipated, since I had to find a safe, affordable venue, which was within easy reach of all the members and was available at the same time when they were. Eventually, though, Moira Lovegrove arranged for us to borrow the Scout and Guide Hut in Joydens Wood, Bexley, on 25 and 26 May 1996. Four girls attended, along with Moira Lovegrove. Anne Thompson was unable to attend, but Annette Jackson, a local Guide Captain, teacher and member of the New Chalet Club, offered to assist instead. In the event, Annette took the major role in running the weekend, which made it easier for me to cope physically and also meant that I was able to spend more time observing and listening to the girls. The hut was centrally heated, with cooking, toilet and washing facilities, and while there were no showers, in the event of accidents Moira's home was nearby. As it was a hut, it was easy to rename it The Chalet for the weekend, and to plan outside activities within the grounds and the wood. 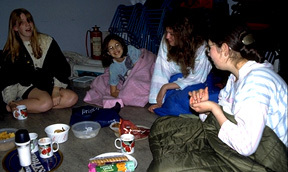 And as the girls had to "camp" within the hut, it satisfied their desire to "go away camping like the Chalet girls". We divided the hut into the Speisesaal or dining area; the Hobbies Club (tables where the girls could work on activities); the Form Room, with chairs in rows in front of a blackboard; the Dormitory, where the girls laid out their bedding; and the Splasheries (toilets). Annette and Moira also created a "Fines Box" for girls caught talking "slang", which added further to the atmosphere. The girls arrived on Saturday lunchtime, and ate a packed lunch together in the Speisesaal while they got to know Annette. Joy Wotton then arrived, and the girls moved over to the Hobbies Club and went over the proofs of the next issue of The Chalet School Today with her. After that they moved to the Form Room, where Joy discussed the role of the plays within Elinor M. Brent-Dyer's books, and the girls talked about their own experiences of acting, before Joy led the girls in a reading of a play from the Maids of La Rochelle (1924). Joy then showed the girls how to adapt a play from scenes in a novel, in this case The Chalet Girls in Camp (1932). After another meal in the Speisesaal, this time provided by Annette, the girls went outside for a campfire, where they roasted marshmallows in order to create "s'mores" with chocolate biscuits, and sang Guide songs provided by Moira. They then got ready for bed, where they read their Chalet School books before getting up again for a Midnight Feast. On Sunday the girls played a fortune-telling game which features in the series, jumping over nightlights, and then competed in a quiz about The Chalet Girls in Camp which had been created for them by Marie Hrynzcak. Meanwhile Annette and Moira laid a treasure trail in the grounds, based on events from The Princess of the Chalet School (1927), which the girls then divided into two teams to follow. After this the girls returned to the Hobbies Club, where they created two collages based on the cover of The Chalet Girls in Camp before their parents collected them. I did not wish to abandon the group simply because I had completed my work, if it meant that the group ceased to continue. However, by now Moira Lovegrove had reached the age of eighteen, and was representing the junior members on the New Chalet Club's committee. With extensive experience as a leader in the Girl Guides, she was well able to carry out a great deal of the organisation by herself. In addition, Annette Jackson, who had assisted at the residential weekend, was willing to make a long-term commitment to the group, and the Club itself was already raising money to cover the meeting costs which I had previously paid. In fact, I was no longer the most suitable person to organise the group, and it was now properly part of the fan movement. 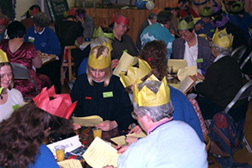 The group was therefore integrated into the Club following the residential weekend, and continued to meet successfully at the time of writing (1997). Meanwhile I was able to continue with my involvement with both the girl and the women fans as an "ordinary" member of their networks, rather than losing contact with my research subjects as is often the case in more traditional research.